As the field of maritime archaeology continues to mature into a respected sub-discipline, advances and developments are occurring at an ever-more-rapid pace. With the generous funding from the Honor Frost Foundation and the Oxford Centre for Maritime Archaeology, graduate students in maritime archaeology at the University of Southampton and the University of Oxford have come together to organise the MAGS 2019 in its second year. The Maritime Archaeology Graduate Symposium (MAGS) will allow the next generation of researchers in the field to gather in Southampton to share their research, engage with like-minded scholars, and foster interdisciplinary cooperation. From masters’ students to post-doctoral academics, we encourage all early career researchers of maritime archaeology and related sub-disciplines to attend, either as audience members or presenters of papers. The first day will be dedicated to registration, introduction and a wine reception. The second day will be dedicated to research related to maritime archaeology in the eastern Mediterranean. The following day will be open for general discussions of methodological advances and legislative issues in maritime archaeology. Spaces are limited, but attendance is free and a light lunch and coffee and tea breaks are included for participants. In the evenings, there will be ample opportunities for attendees to exchange ideas and explore the city centre of Southampton. 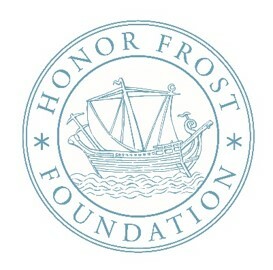 Travel bursaries will be provided for those who wish to present thanks to the generous support of the Honor Frost Foundation. We hope this symposium will encourage early career researchers and current graduate students in maritime archaeology to share their research, exchange ideas, and meet like-minded scholars in their field.